A river flood is one of the most common forms of natural disaster. It occurs when a river fills with water beyond its capacity. The surplus water overflows the banks and runs into adjoining low-lying lands. River floods are responsible for the loss of human life and the damage of property. Each year, the number of deaths from flooding of rivers is more than any other natural disaster. 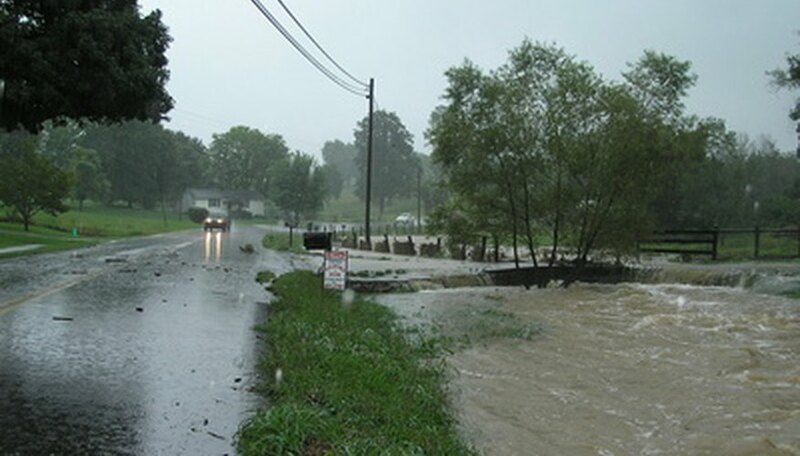 Several factors can cause a river flood. The most common reason of river flooding is heavy rainfall. The sudden melting of snow and ice also increases the chance of flooding. Other causes of river floods include broken dams, rough seas and high tides. These events can push water up the rivers and result in flooding. Flash floods, which have a very short duration, are very violent in nature. They occur when heavy rain falls on steep land and runs off the land at a rapid pace. In addition, flash floods also happen when the rivers are too narrow to hold extra water. River floods have serious repercussions. The floodwater drowns human beings and animals. It damages buildings, roads, bridges and crops. A serious aftermath of river flooding is pollution of the water supply. Flood water also damages sewage systems, gas lines and power lines. River floods displace large amounts of sediment. This river sediment mixes with agricultural land and replenishes valuable topsoil components. This action also increases the elevation of lands. China has experienced many devastating floods. The Yellow River flooding in 1887 inundated 1,500 towns and villages. Around 2.5 million people died in the disaster. The great flood of Vietnam’s Red River in 1971 resulted in the death of 100,000 people and the destruction of 7 million tons of rice. More than 200,000 people died in 1991 in Bangladesh as a result of river flooding and associated tropical cyclones. In order to limit the damage caused by floods, dams or weirs are built. These dams have gates that control the amount of water flowing through them. In case of flooding, water is diverted to reservoirs, swamps and canals connected to the dams. In addition, dams also generate hydroelectricity by harnessing the power of flowing water. Sen, Debashree. "What Is a River Flood?" Sciencing, https://sciencing.com/about-6310709-river-flood-.html. 09 January 2018.